Morning friends! I'm so excited guys. 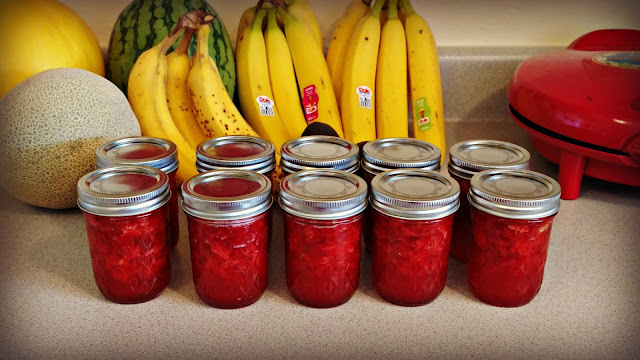 The kids and I made jam this weekend. 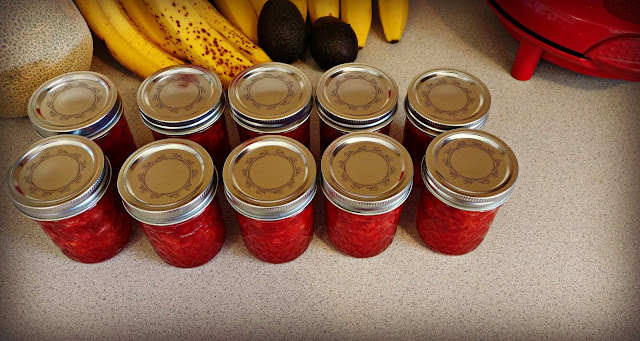 Strawberry jam with wonderful, delicious chunks of berry. Mmmmm.......I love homemade jam. Put it on top of fresh baked bread and I'm in heaven. The kids and I had it on some biscuits, straight from the oven. It was the perfect treat over the weekend. On Friday, We went to a local produce store here called City Wide Produce. You can find them on Facebook. One of you sweet readers told me about them. I immediately looked them up and saw they had strawberries for 99 cents. I loaded the kids in the car and we ventured to get some sweet berries for homemade freezer jam. 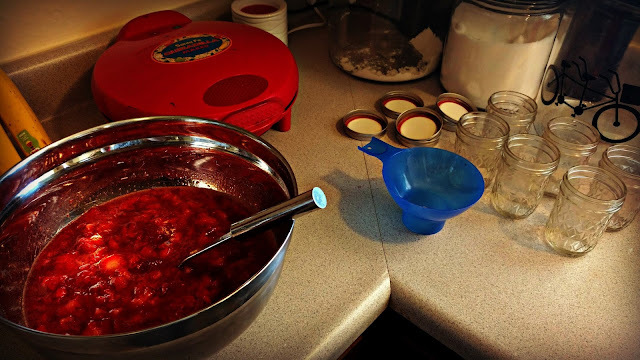 To make the jam, I followed the directions on the liquid pectin box for freezer jam. 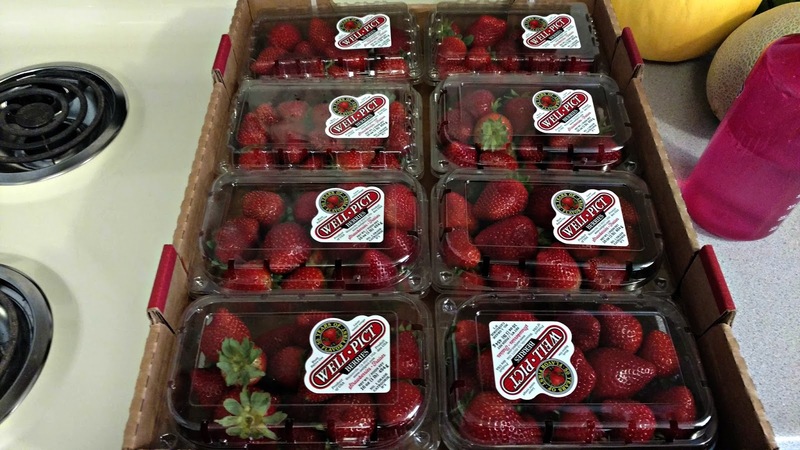 I washed and hauled my strawberries. 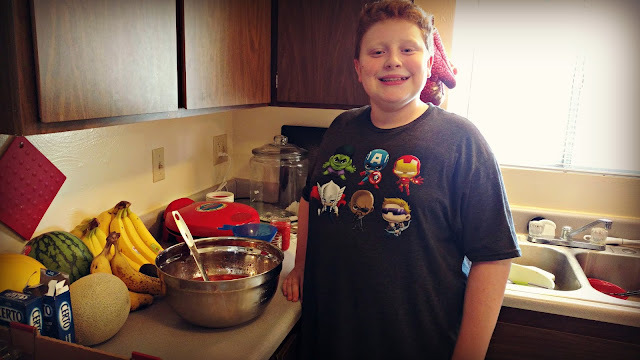 I then mashed them in a huge bowl. I added four cups of sugar and mixed well. I let it sit for ten minutes, while I mixed the lemon juice and pectin in a bowl together. 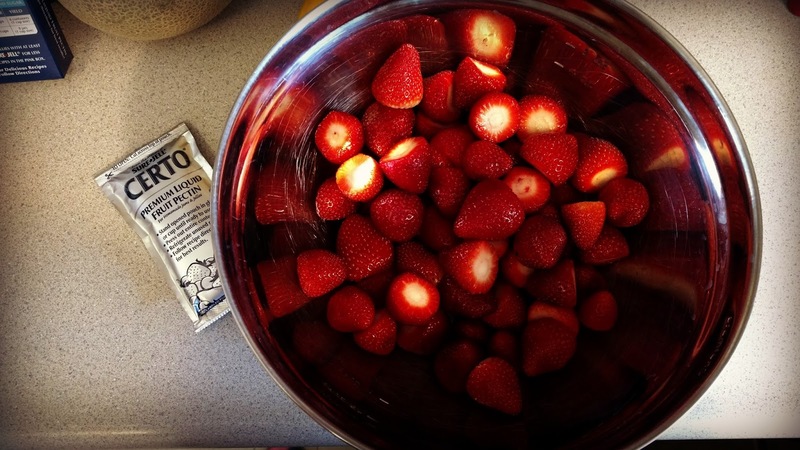 After the ten minutes were up, I combined my pectin mixture with my berries. 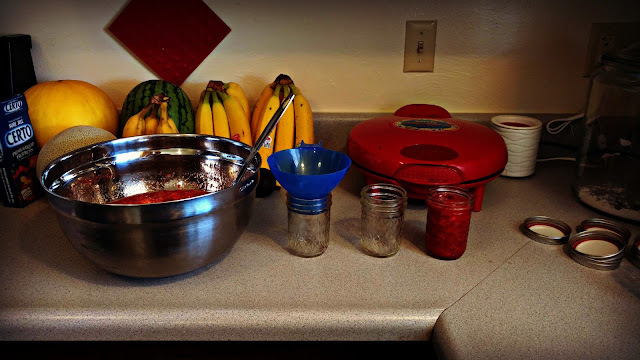 The jars I used are freezer safe glass jars. They were gifted to me by a friend. She was no longer into canning, so she gave me a few boxes of jars. Once my jars were clean, it was time to fill them. This is when the kids got interested and wanted to help. They took turns filling jars. Once they were all filled, I cleaned the rims and screwed on the lids. We let them sit out for 24 hours, then into the freezer they went. We kept one out for the fridge. Making freezer jam was a perfect project for nap time. Right as we were screwing on the last lid, baby girl woke up. What's your favorite type of freezer jam? Holy Jam batman!!! Nice work!! 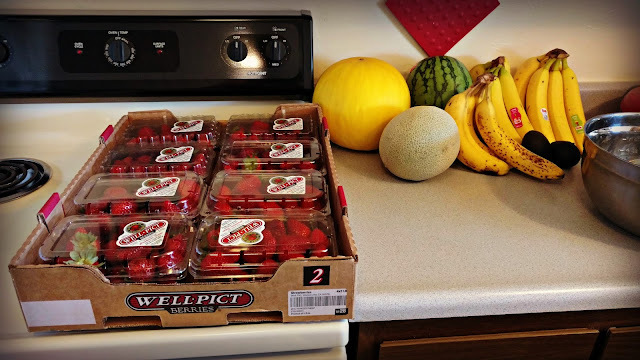 Your counter looks so colorful with your lovely jars of jam and the bananas as a pop of color! You are definitely well stocked for the winter. yummy.. Sweet of kids to help too.